Indicators goes: into C:/Program Files/xxxxx/experts/indicators, where xxxxx is the name of your MT4. Use this system during London and New-York Sessions or all sessions. Keep Away from High Impacted News. 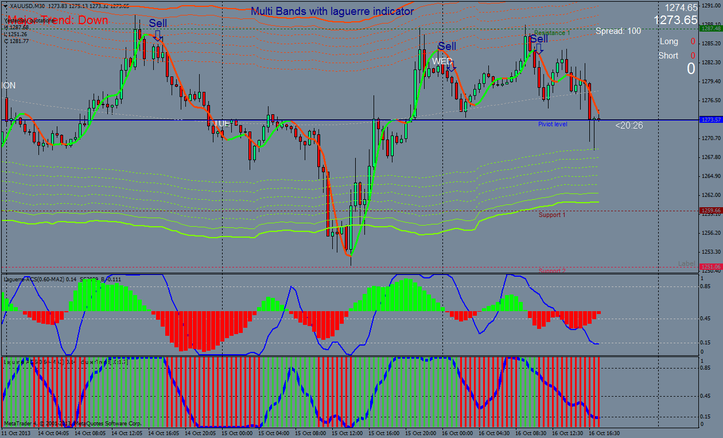 Laguerre ACS indicator with super trend tape X. 1. Price at Green Price Border. 2. SS2009 color changed into Green. 3. Super trend tapeX Indicator changed into Green under 0.15 level . 4. 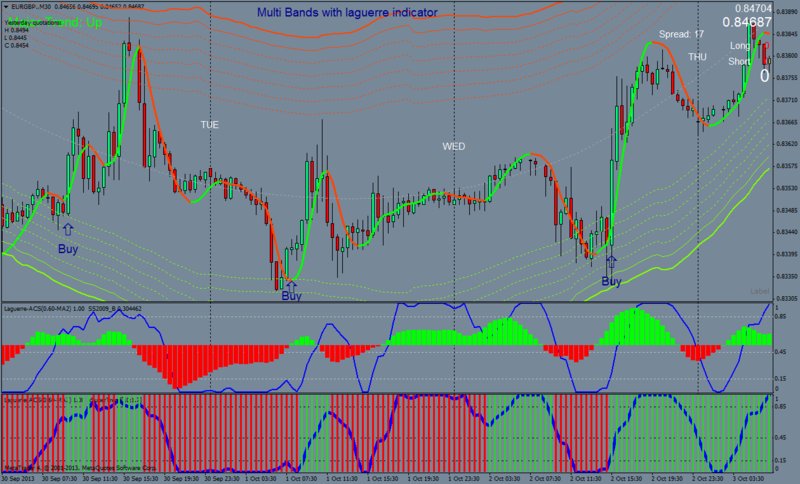 CMA Indicator changed into green. 5. Trend Finder Indicator shows Major Trend Up. 6. Exit when appear reversal signals. 1. Price at Red Price Border. 2. SS2009 color changed into Red. 4. CMA Indicator changed into red. 5. Trend Finder Indicator shows Major Trend Down. In the picuters below Multi Bands with laguerre indicator: intraday trading system in action.